LEXINGTON, Ky. (January 5, 2019) – Led by Horse of the Year candidates Accelerate, Justify, and Monomoy Girl, the National Thoroughbred Racing Association (NTRA), Daily Racing Form and the National Turf Writers and Broadcasters (NTWAB) today announced the finalists for the 2018 Eclipse Awards, recognizing excellence in Thoroughbred racing. Winners in 17 horse and human categories will be announced at the 48th annual Eclipse Awards dinner and ceremony, presented by Daily Racing Form, Breeders’ Cup and The Stronach Group on Thursday evening, January 24, at Gulfstream Park Racing & Casino in Hallandale Beach, Fla.
Of the 271 eligible voters representing the NTRA, the NTWAB and Daily Racing Form, 249 (91.88%) took part in this year’s voting. Finalists were determined in each category by voters’ top three selections, using a 10-5-1 point basis. Eclipse Award winners are determined solely by first-place votes. In addition to honoring the 17 winners in the horse and human categories, Joe Harper, Chief Executive Officer of the Del Mar Thoroughbred Club, will receive the Eclipse Award of Merit in recognition of a lifetime of outstanding achievement in the Thoroughbred industry. Chris Littlemore will receive the Eclipse Award as the 2018 Horseplayer of the Year. Members of the media will be honored for outstanding coverage in six categories. The Eclipse Awards are named after the great 18th-century racehorse and foundation sire Eclipse, who began racing at age five and was undefeated in 18 starts, including eight walkovers. Eclipse sired the winners of 344 races, including three Epsom Derbies. The Eclipse Awards are bestowed upon horses and individuals whose outstanding achievements in North America have earned them the title of Champion in their respective categories. Eclipse Awards tickets are available for $425 each or $4,000 for a table of 10. Additional details can be found on the NTRA website at NTRA.com/eclipse-awards. Eclipse Awards voting is conducted by the National Turf Writers and Broadcasters (NTWAB), the National Thoroughbred Racing Association (NTRA) and Daily Racing Form. 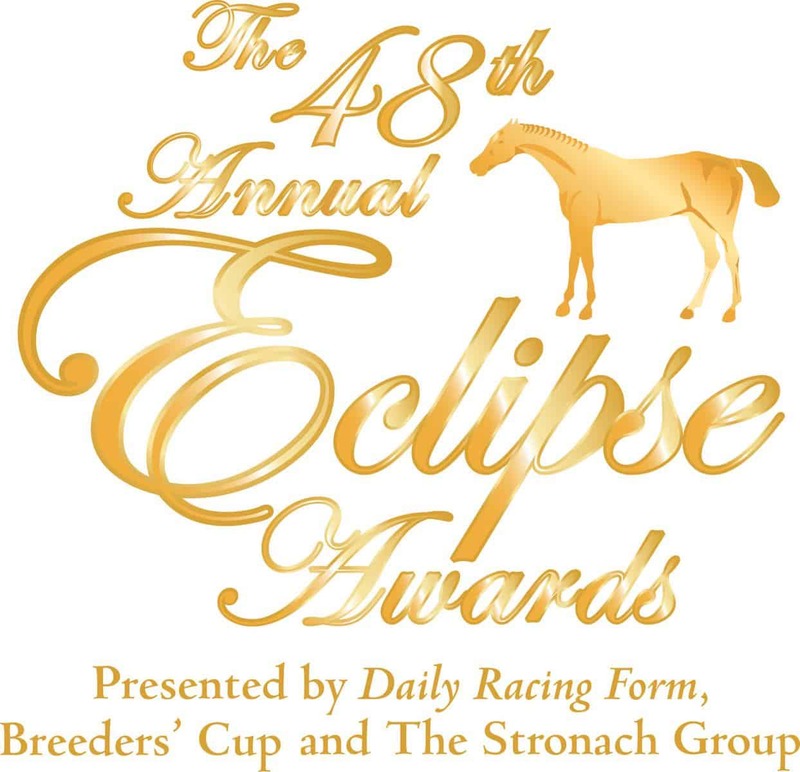 The Eclipse Awards ceremony is produced by the National Thoroughbred Racing Association and presented by the Breeders’ Cup, Daily Racing Form and The Stronach Group.